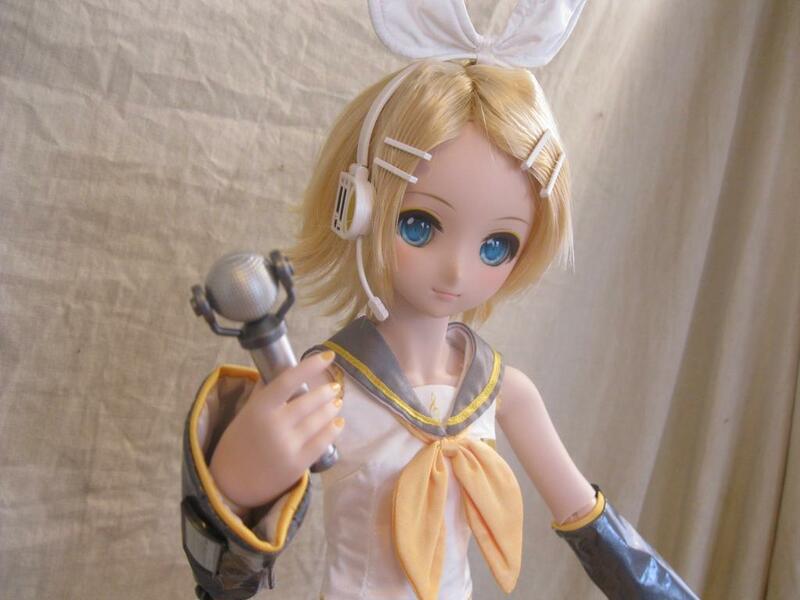 Dollfie Dream Sister Kagamine Rin --- Review and lots of BIG pictures! 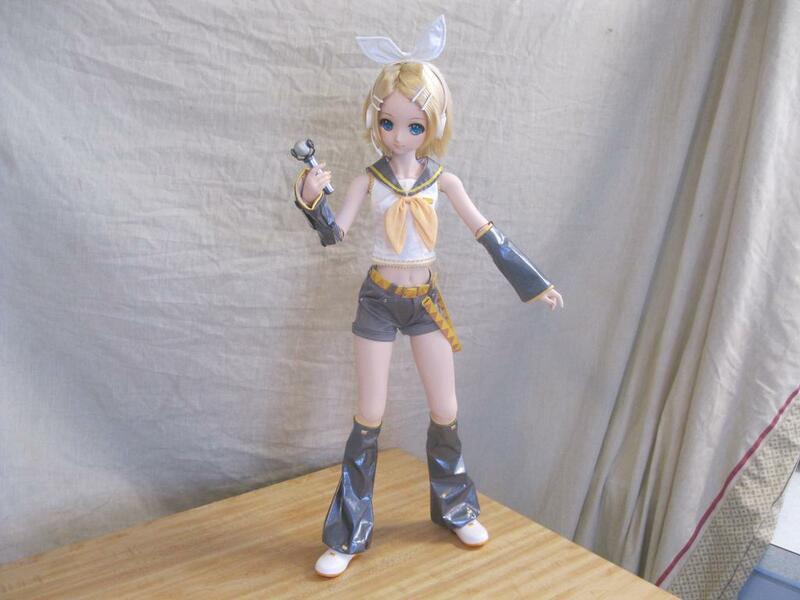 At long last and after many sacrifices, here's my first ever 1/3 doll, Dollfie Dream Sister Kagamine Rin! 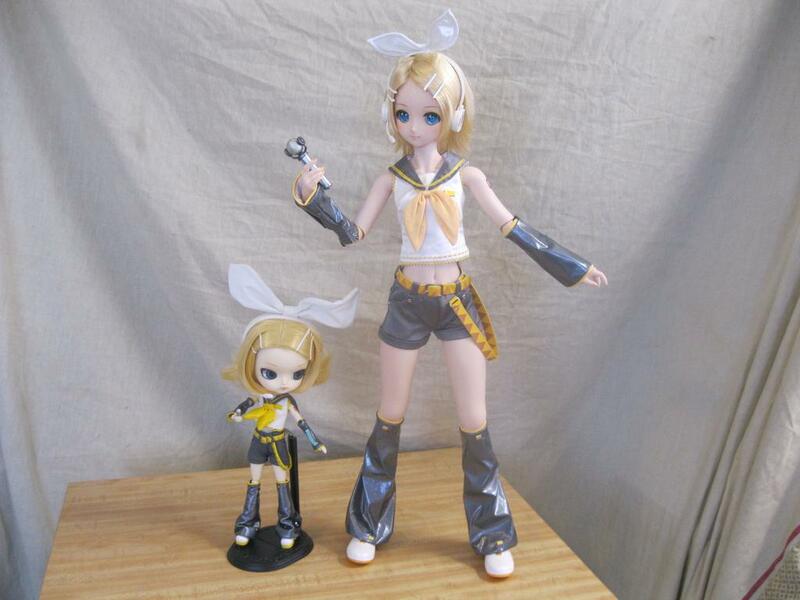 Why Kagamine Rin and not a simple and way cheaper base model? Because the base model already cost a freaking fortune and if I have to pay that kind of money for a nobody, might as well pay more for a character I deeply care about. So is that doll worth the over 1000$CAN I had to pay for? First, let's have a look at the box. 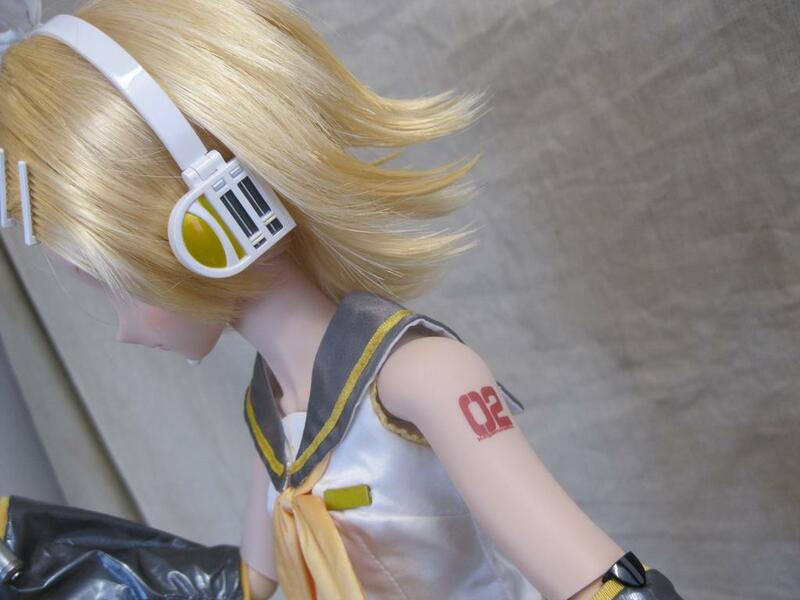 Pretty standard with the amazing original artwork of Vocaloid Kagamine Rin on the front. The rest of the box only have basic info. 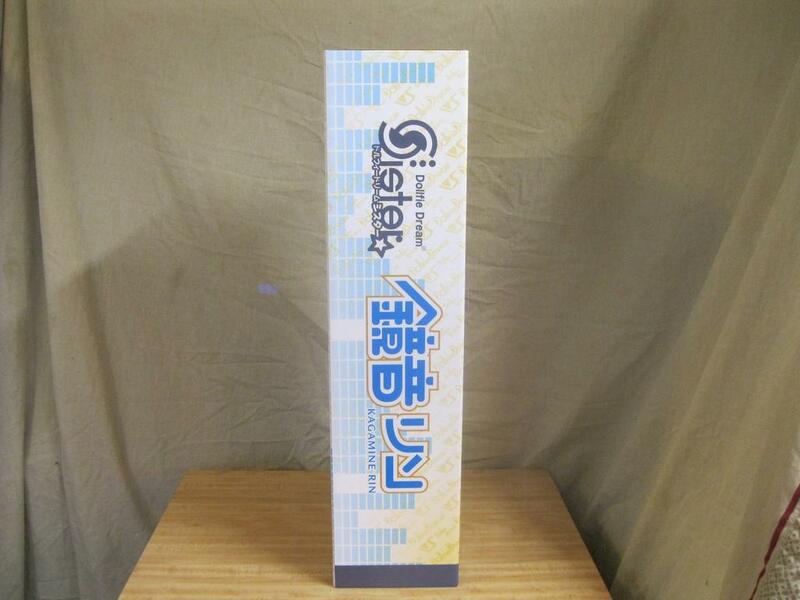 It's also pretty solid and is a great display piece on it's own. The box is the "wrap around" type so you just slide it up to open it. You are greeted by the naked doll, kept secure in a plastic bag and tied in with simple nylon straps held by hooks. No twist-ties or other cheap things. She can be re-boxed at any times. Here's how the rest is packed under the doll. The bags and boxes are simply loose inside. But since everything is fabrics and well packed, nothing can ever be damaged in transport. Have a closer look at everything included. The wig, the accessories, and the clothes. 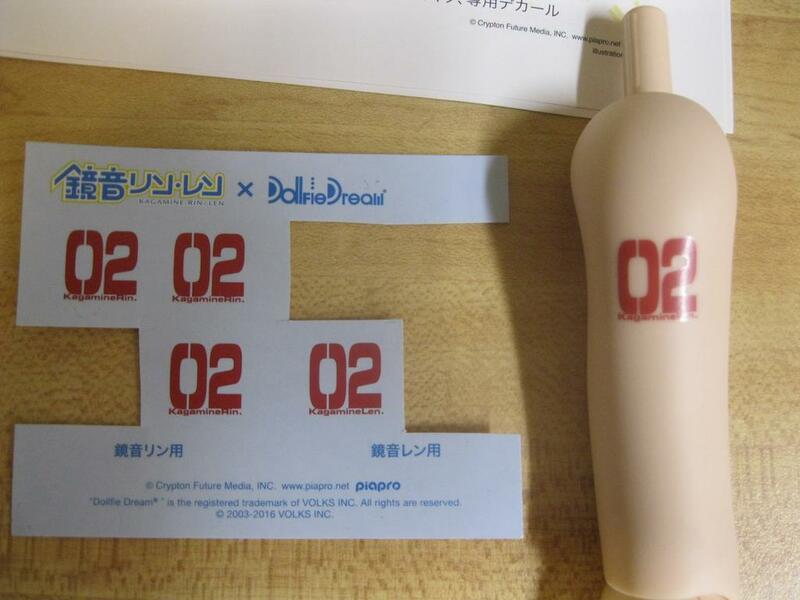 There's papers and a water-decals sheet. 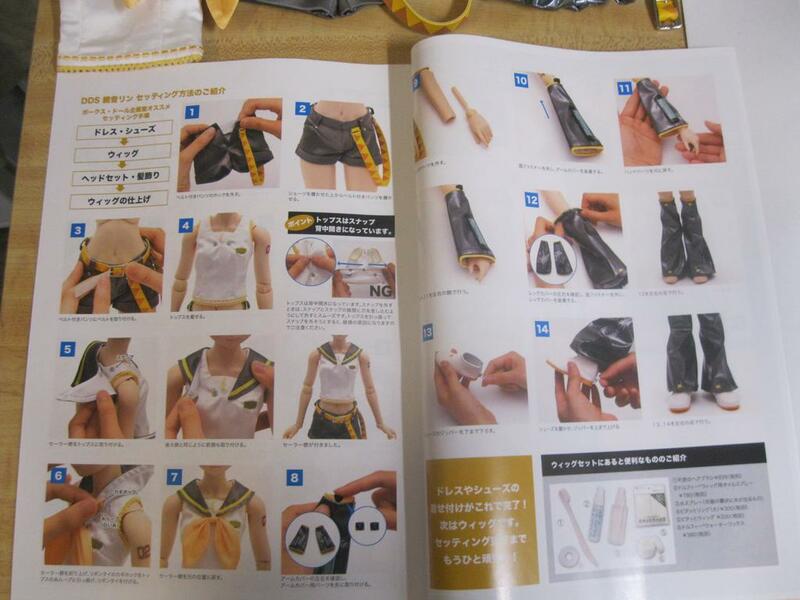 The catalog show how Dollfie Dreams are made and what parts can be ordered. 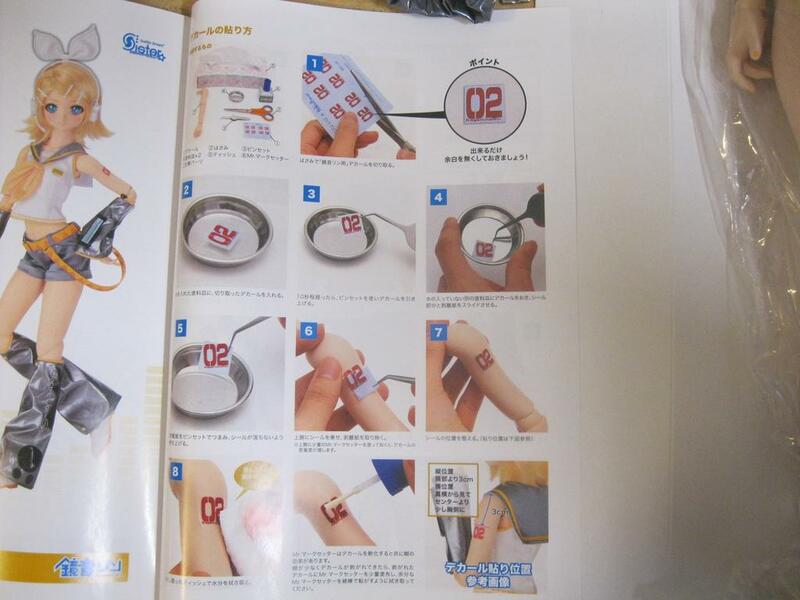 The instructions show how to apply the decal and how to clothes your doll. 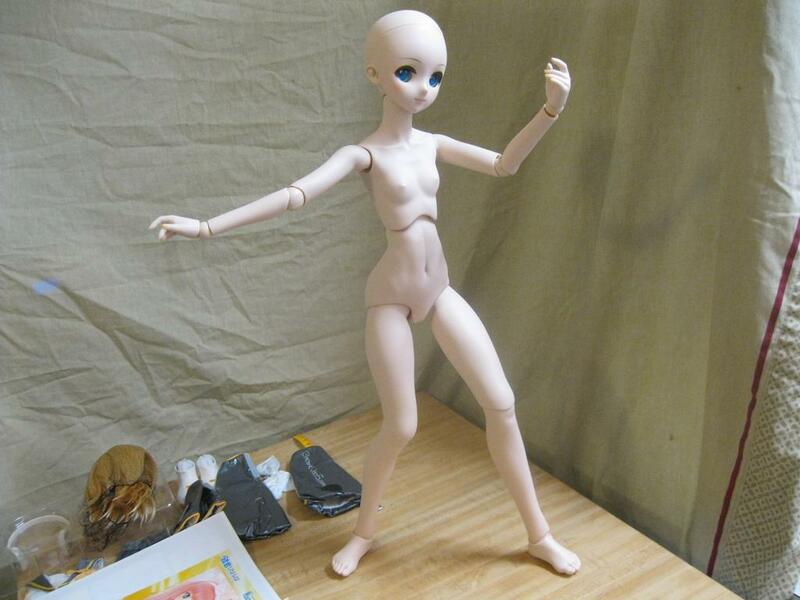 Even naked, the doll can stand very well on her own and her posability is pretty solid for something of this size. 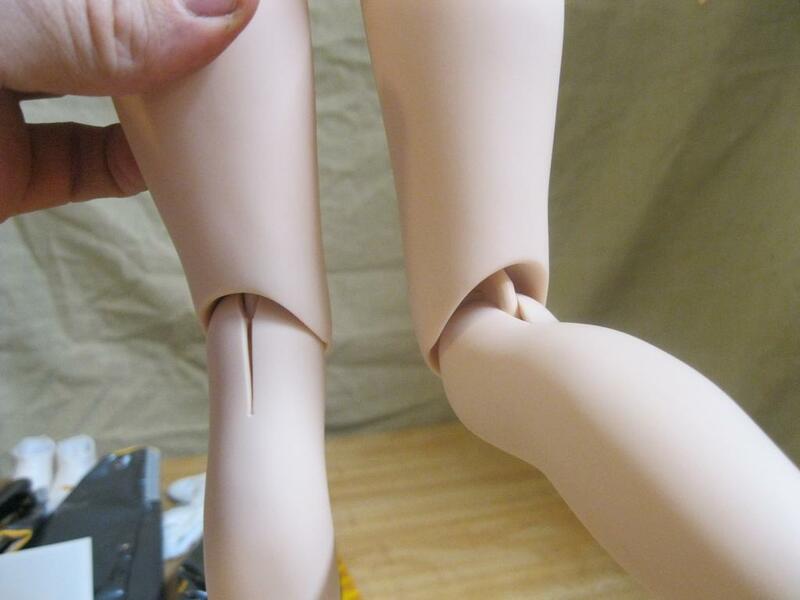 Dollfie Dreams have an inner skeleton and the joints are a mix of ball joints, hinges, and pins. 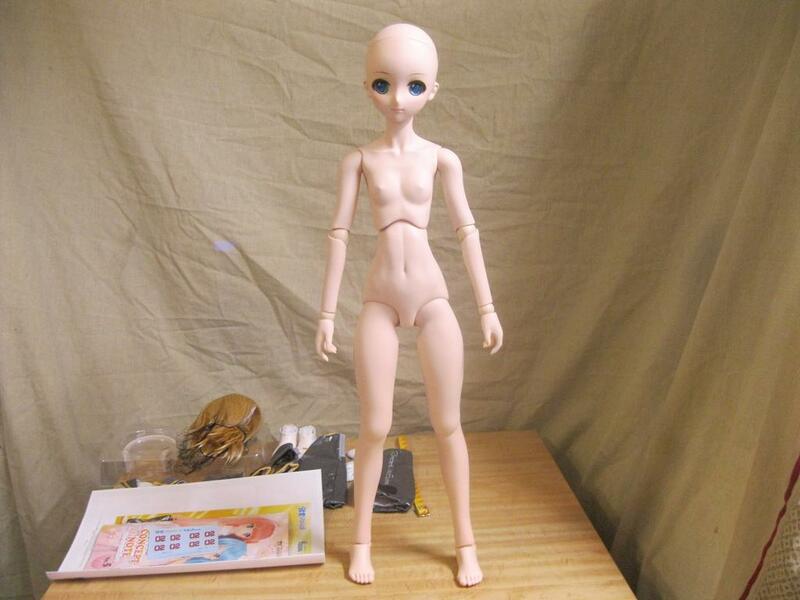 The integrate very well in the doll and she don't look like a robot. Even for the knees. 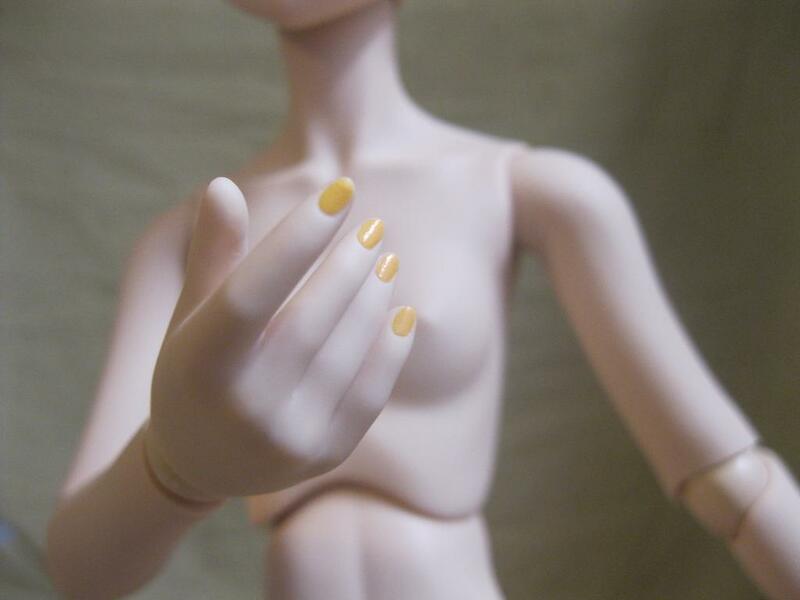 She have painted nails on her hands. Her face is an unique mold just for her. 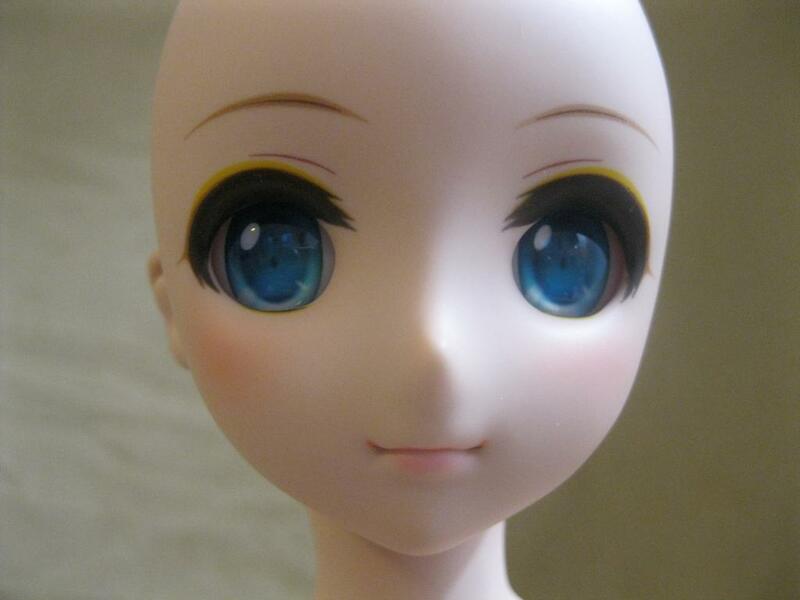 Her face-up is on point and her eyes are magnificent. Applying the water-label was not easy. I messed up a few times before getting the proper instructions online. 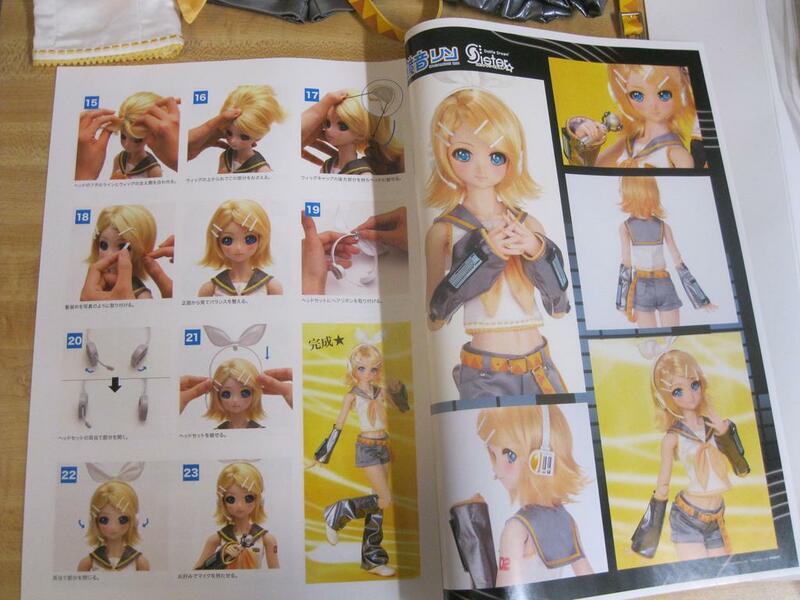 Furthermore, LEN's stickers are on the sheet as well. The wasted labels were all Len's. 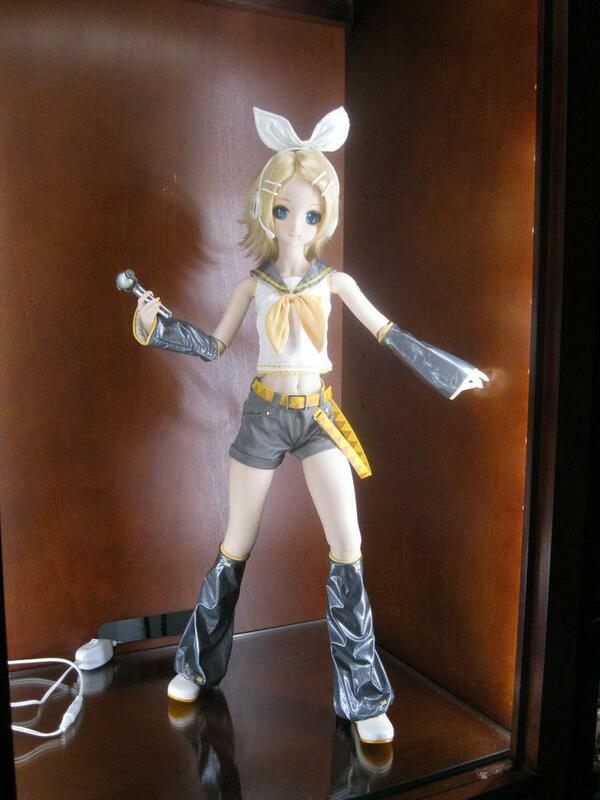 At least I succeeded at my first Rin. 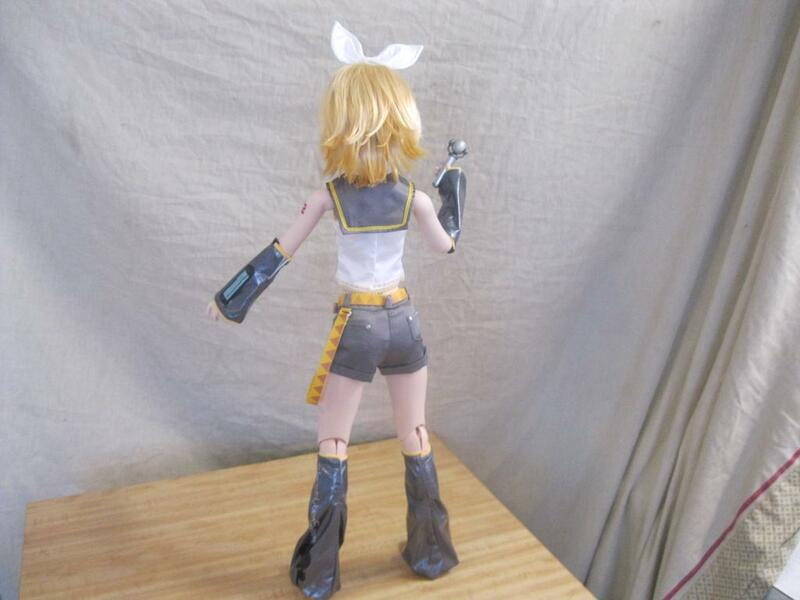 Clothing Rin was a bit worrisome because I fear clothes that could stain. No worries here because everything is double-layered with white fabrics! 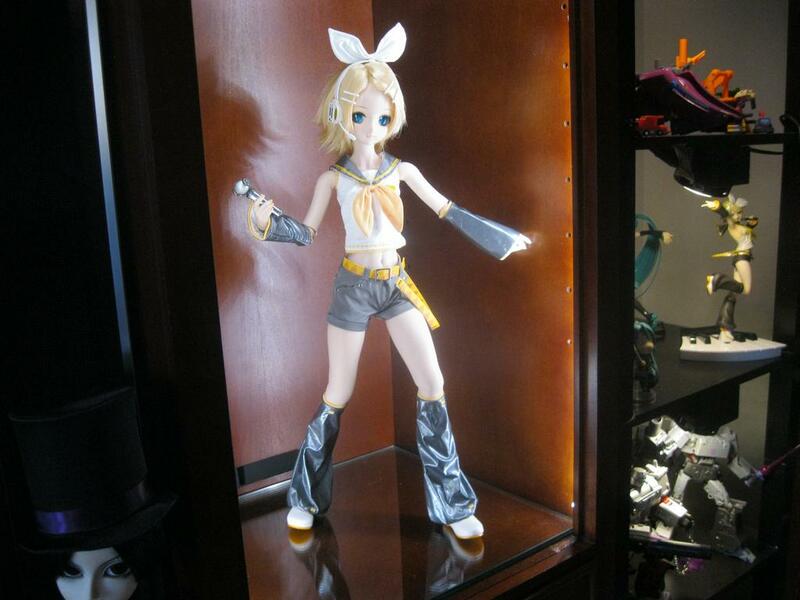 Finally, here's DDS Kagamine Rin in all of her glory! Most clothes attach with pressure buttons and hooks. Velcro on the arm and leg sleeves. Zipper at the back of the shoes. There's vinyl aplenty on the clothes so I just hope it's not the kind that will just rot away in a few years. Overall, Rin look pretty STUNNING. 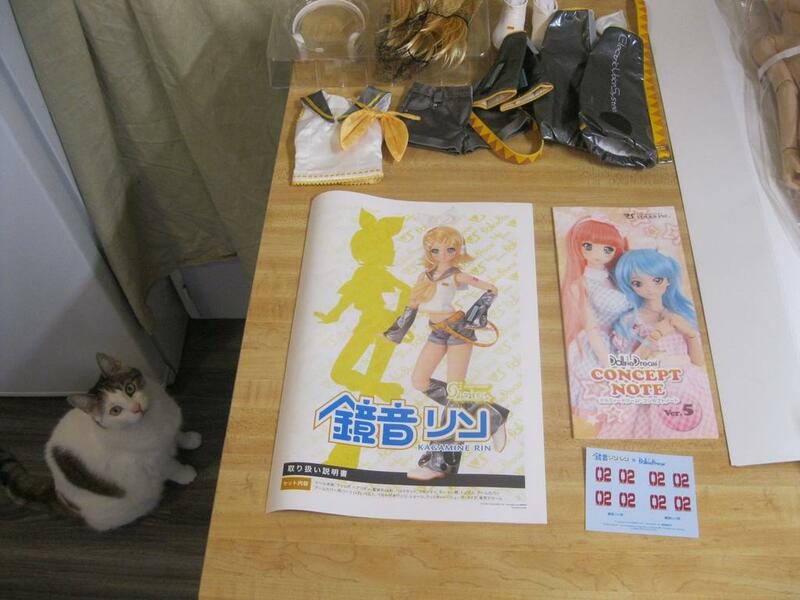 Size comparison with the Dal version. 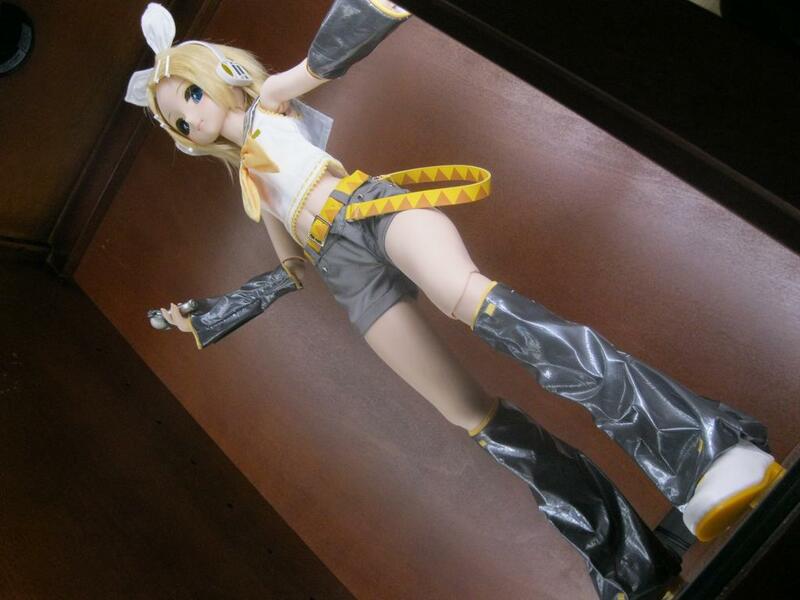 DDS Rin is HUGE! She looks amazing!! I LOVE the display you have set up, it looks epic! And it better be epic because she too so MUCH space. With all my collections, space is a rare commodity. It's the main reason why I'll stick to only one DD. 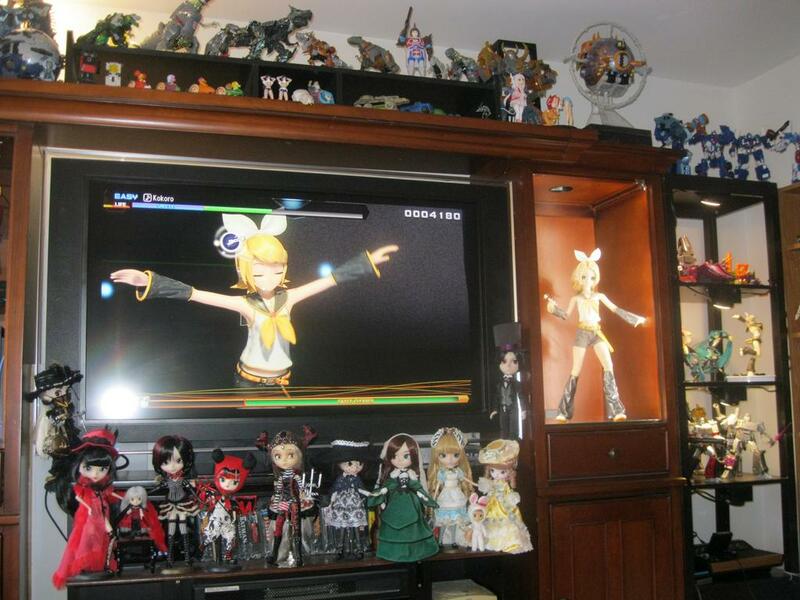 If I ever buy Miku, she'll be in the same space but the poses will be limited and it may look a bit crowded. Maybe I'll ask my niece to bring over her big Clawdeen so that I test out the look. THOSE DAMN BLACK SLEEVE CLIPS. Those things tend to fall off whenever I move her arms. 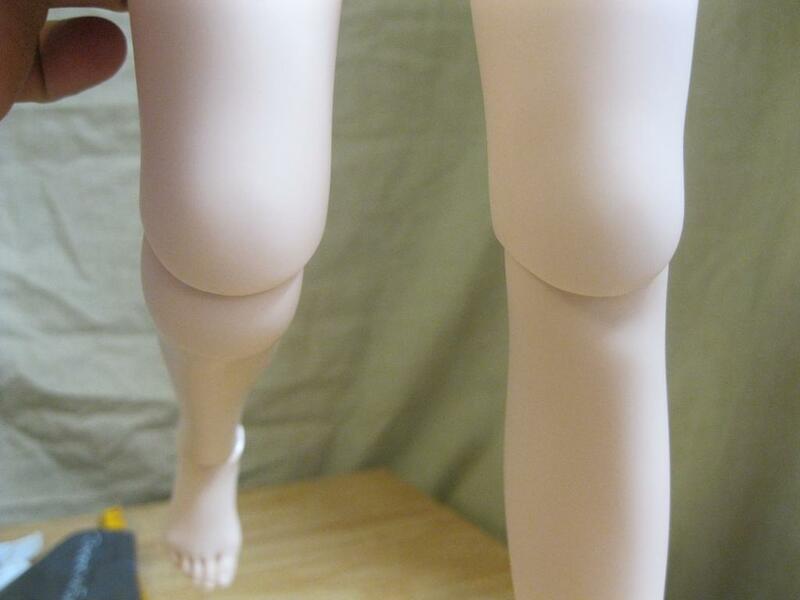 I can't glue them on and for the fortune the doll cost, I really don't want to lose the tiniest bits. I barely see them on the doll anyway so maybe I'll just remove them and keep them safe in the box. 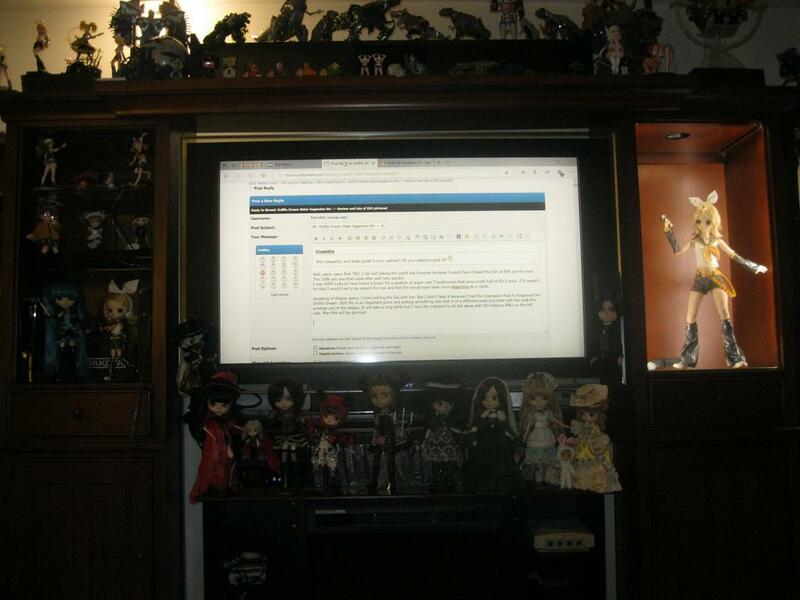 I my living room, I adapted part of my TV cabinet with a 10ft long DEL band. It make for a pretty effective display. So, final impressions. 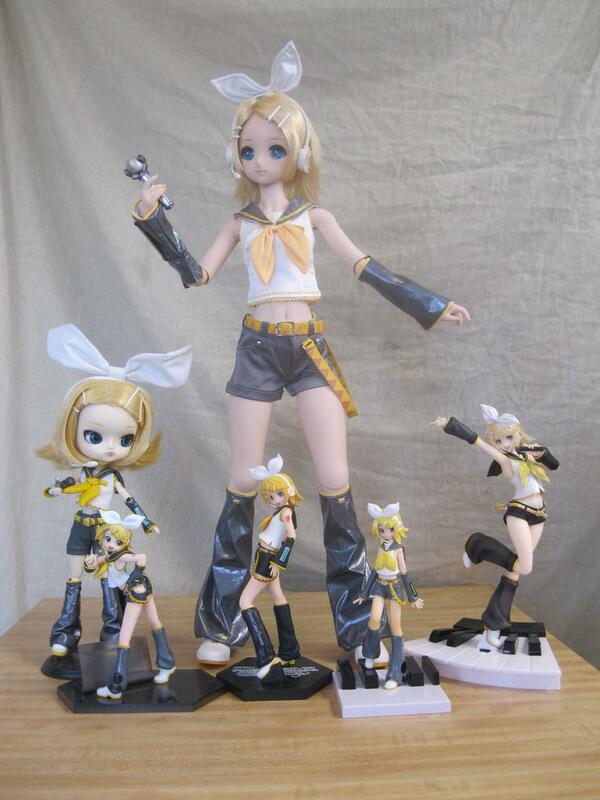 Was DDS Kagamine Rin worth the money? 1000$CAN+ is a LOT. The most I ever spent on a collectible. 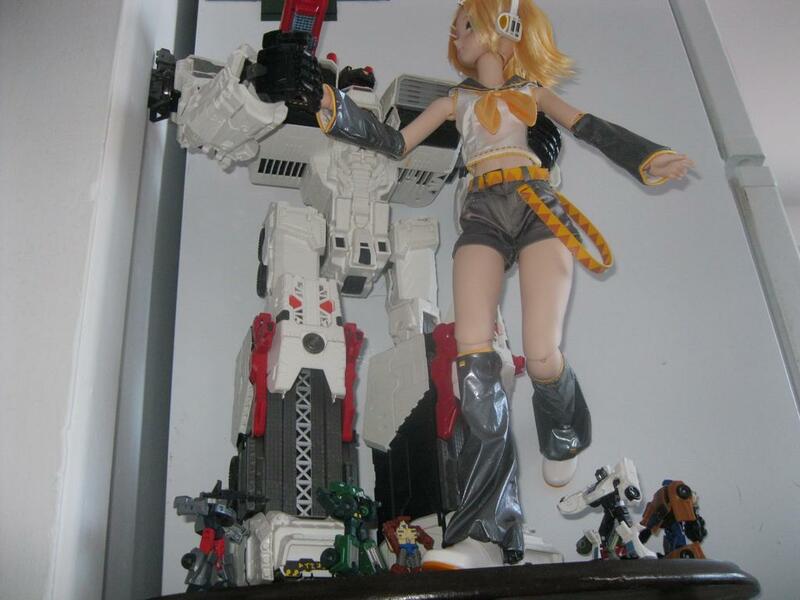 But the doll feel premium through and through and she's by far the most incredible collectible I ever owned. So no regrets at all amazingly. Would I recommend her? Definitely. However, for the asking price, you better get the character you truly care about. I'm pretty sure the quality will hold up for whoever. Any comments, negative or positive, please post them below! Pullip Megurine Luka, Byul Lilith, Taeyang Edward Scissor Hands, Docolla Byul Creamy Mami. 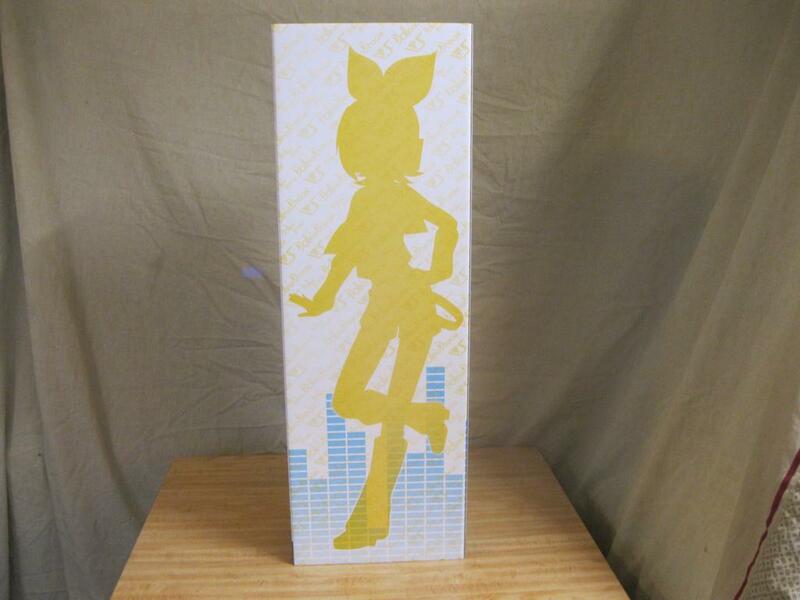 She looks fan-freakin'-tastic in the custom-lighted "shrine"! Congratulations on an epic addition to your collection! They're not dolls, they're action figures! 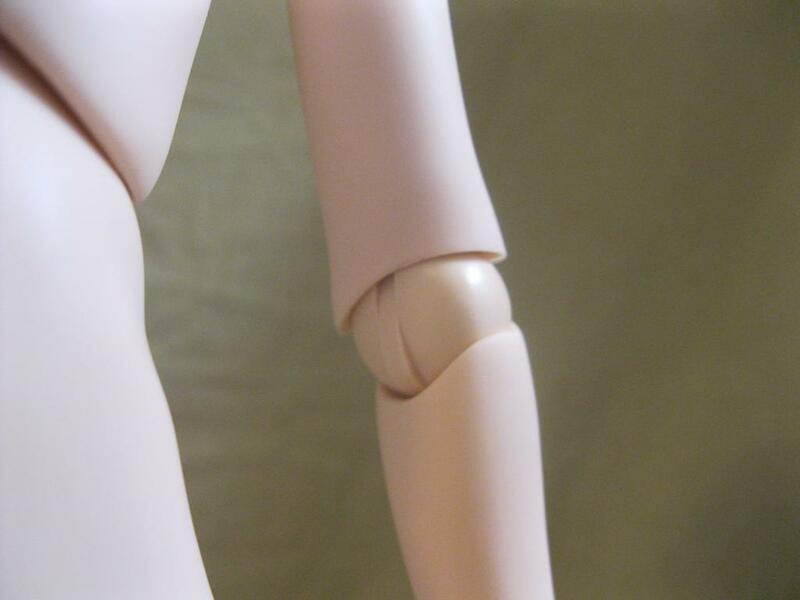 She looks amazing and it's nice to see a closer look at the joints of Dollfie Dream. Her face is really quite something and wow, that blue of her eyes. I am really happy for you to have your girl! Your 'shrine' is really well done as well! The Shrine was easy to do. I used what I already had. I removed the door from the cabinet a long time ago. All around the opening, there is a 3/4'' frame. 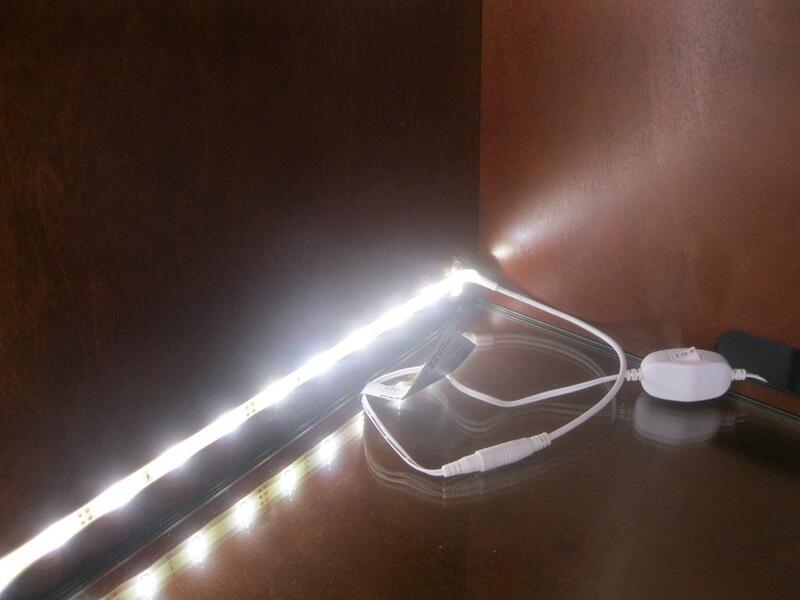 Behind that frame I installed a 10ft DEL strip of lights. That DEL kit is relatively pricey but it's not too bad considering the convenience, the light output, and it's longevity. It even have one side that is "scotch taped" so it stick on pretty well. The key is to manage to not have any lights directly in the eye. That's why I had to "remove" a single DEL by covering it with paint. The true challenge was to empty the cabinet and relocating the stuff elsewhere. 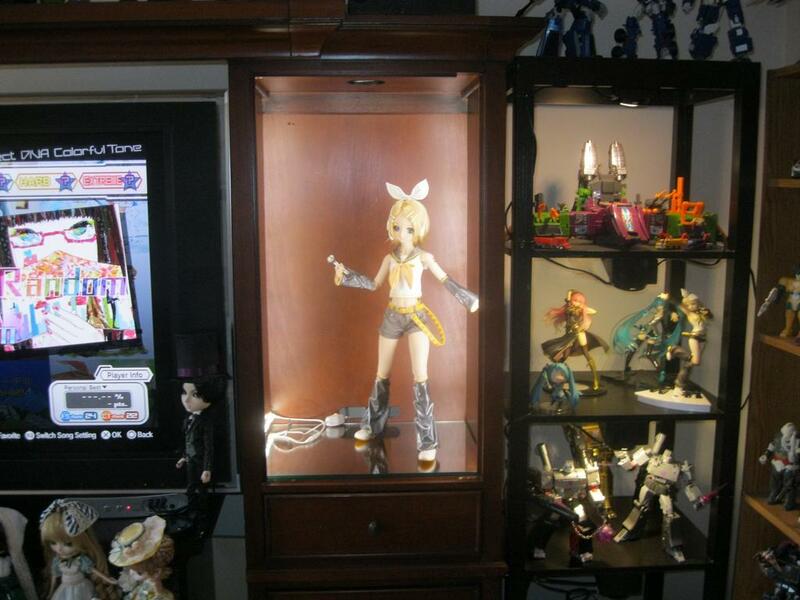 I plan to do the exact same thing on the left side of the cabinet to have a lighted shrine for a possible Dollfie Dream Hatsune Miku. 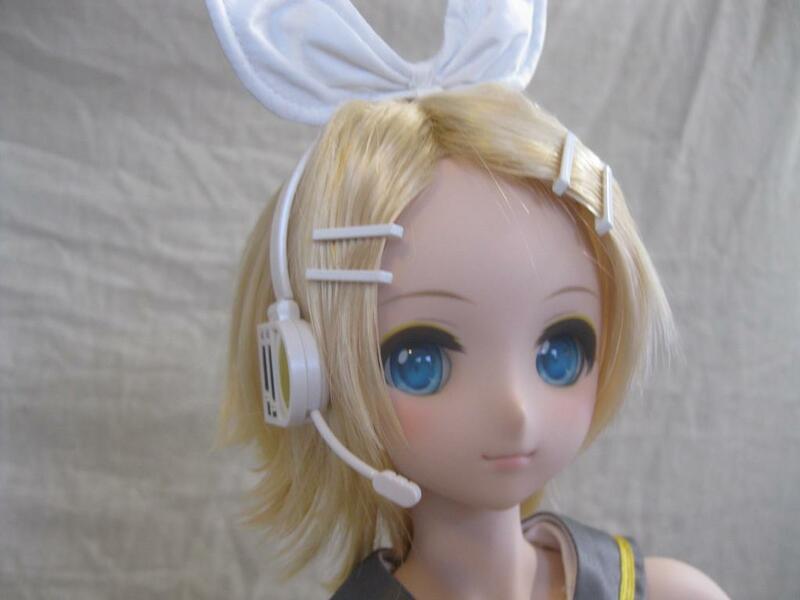 But it will take a long while because before starting to save for this easily available doll, I'll absolutely have to get myself an air conditioner. I always could endured the heat so I never bought one ever. But last summer was HELL and I had enough. (02-10-2019, 07:05 PM)Kanrabat Wrote: The true challenge was to empty the cabinet and relocating the stuff elsewhere. "'Stuff,' he calls us! As though were are nothing! But we wait... and plan... and when the time is right, we shall reclaim the space that is rightfully ours, while wreaking vengeance upon those who have transgressed against us! Mwahhhh hah hah hah... say, wait a minute. She is awfully cute, now that you mention.... no! We... Shall... Return!!! Then the bots came back to reclaim their space. ...Oh sh.... Okay, plan B. Let the ROBOT DANCE PAR-TAY COMMENCE!!! 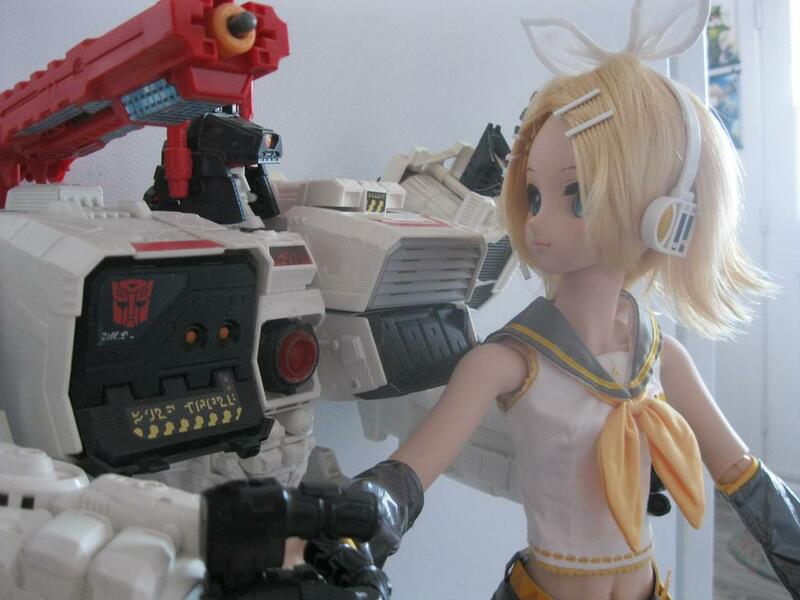 Looks like everyone will manage to get along after all... as long as the music never stops! (02-11-2019, 07:07 AM)davidd Wrote: Let the ROBOT DANCE PAR-TAY COMMENCE!!! Look at the size of that crowd! The one time I attended a "Con," Kawaii-Kon in Honolulu, the Guest of Honor was Hatsune Miku, who appeared during the opening ceremony. There is an Anime convention every summer near my town. If there's ever a Vocaloid Live concert happening there, even if it's only 30 minutes it would be the perfect excuse for me to pay the pricey ticket. Would still be way more affordable than flying to Japan. (02-11-2019, 09:58 AM)Kanrabat Wrote: If there's ever a Vocaloid Live concert happening there, even if it's only 30 minutes it would be the perfect excuse for me to pay the pricey ticket. As I recall, Miku offered some welcoming remarks and performed one number. Not exactly a "concert," but I was impressed that the convention organizers had somehow managed to arrange a customized welcome message from such a "big star." Well, panic came first TBH. 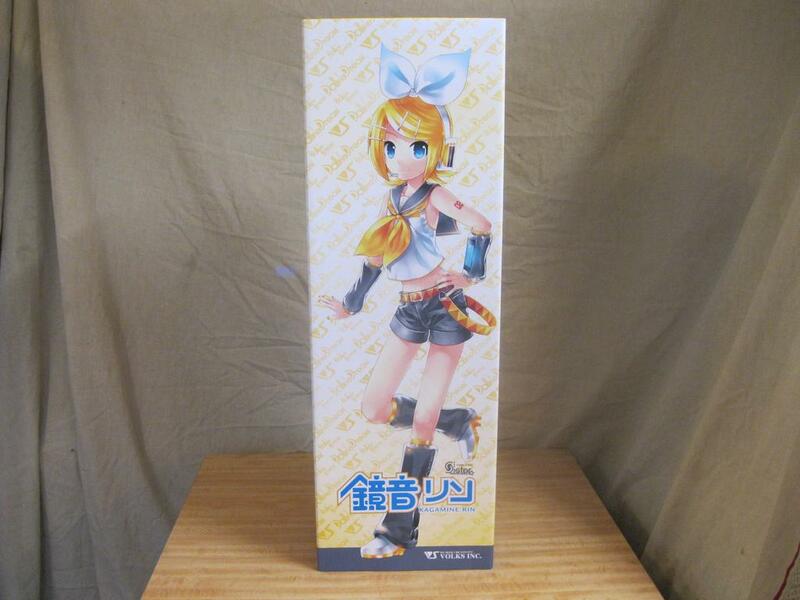 I did well taking the credit risk however because I would have missed this Rin at 80K yen for sure. 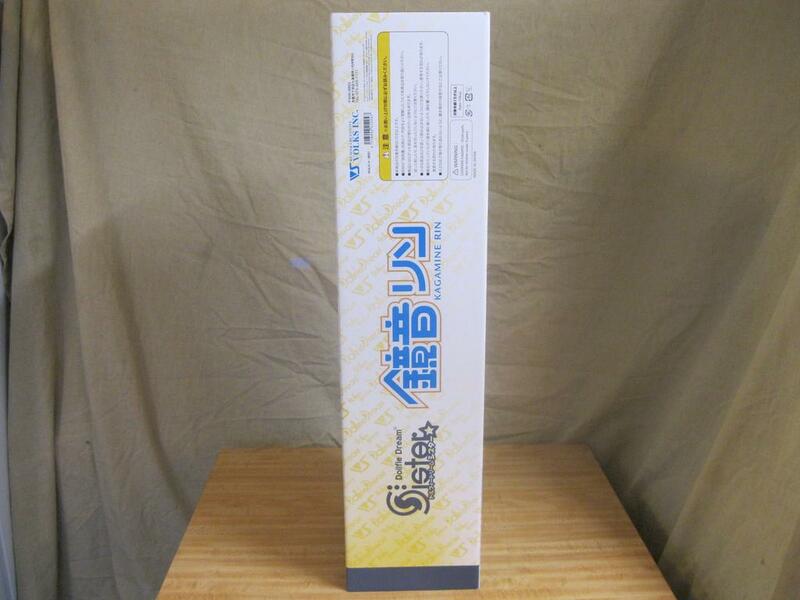 The 100K yen one that came after sold very quickly. 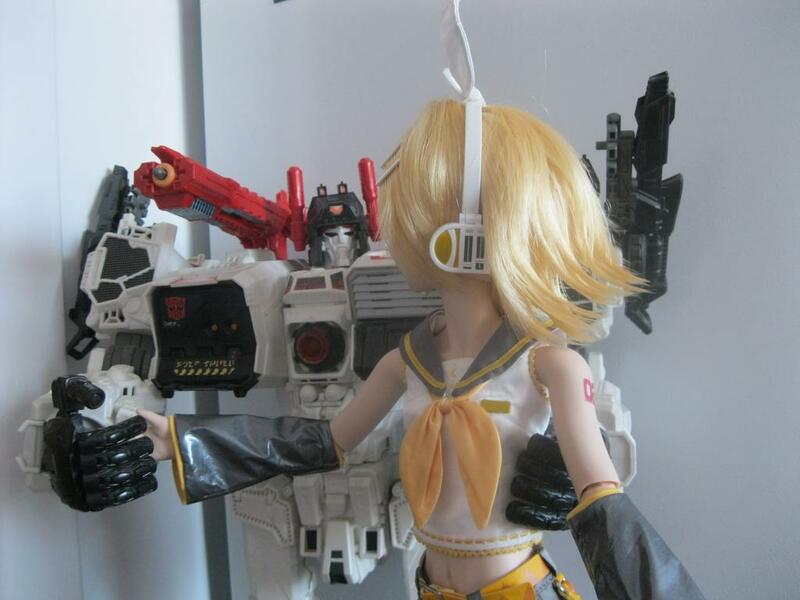 I was VERY lucky to have found a buyer for a quatuor of super rare Transformers that were worth half of Rin's price. If it weren't for that I would had to be patient for real and that Rin would have been more ekpensive as a result. 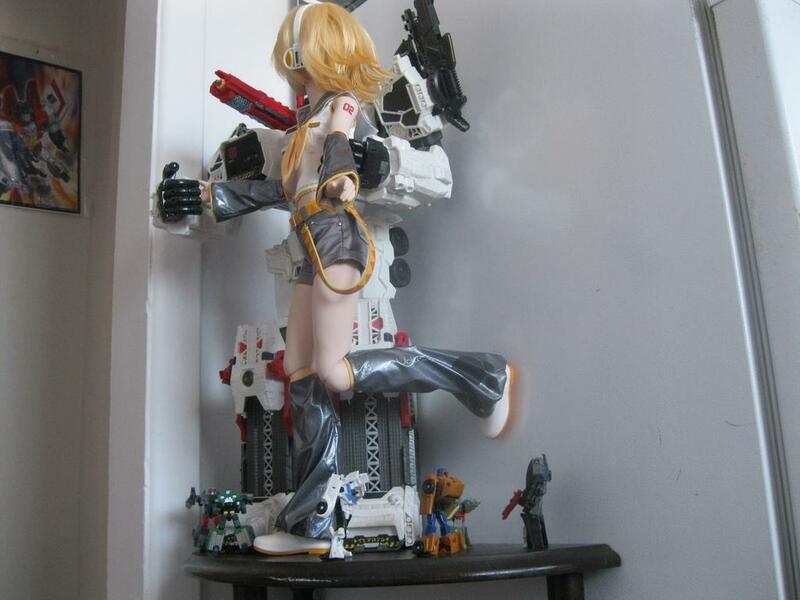 Speaking of display space, I tried putting the Dal with her. 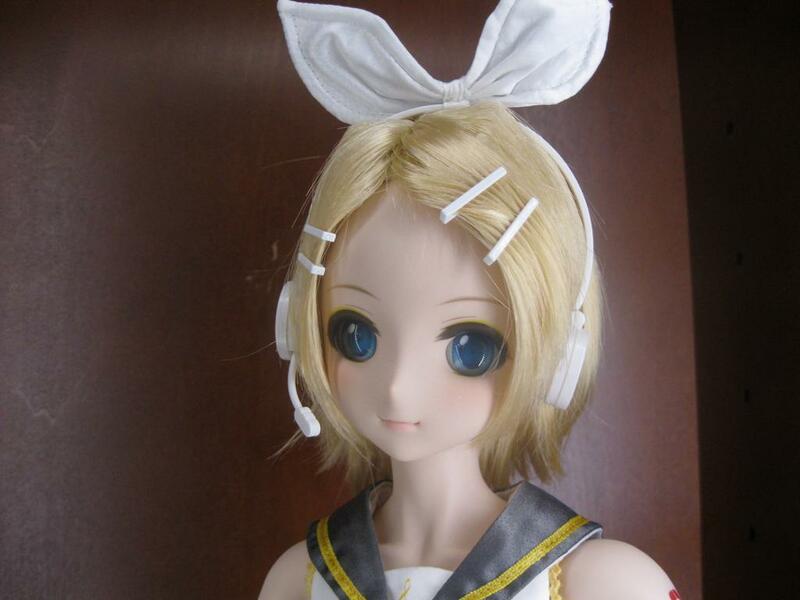 But I didn't liked it because I had the impression that it cheapened the Dollfie Dream. 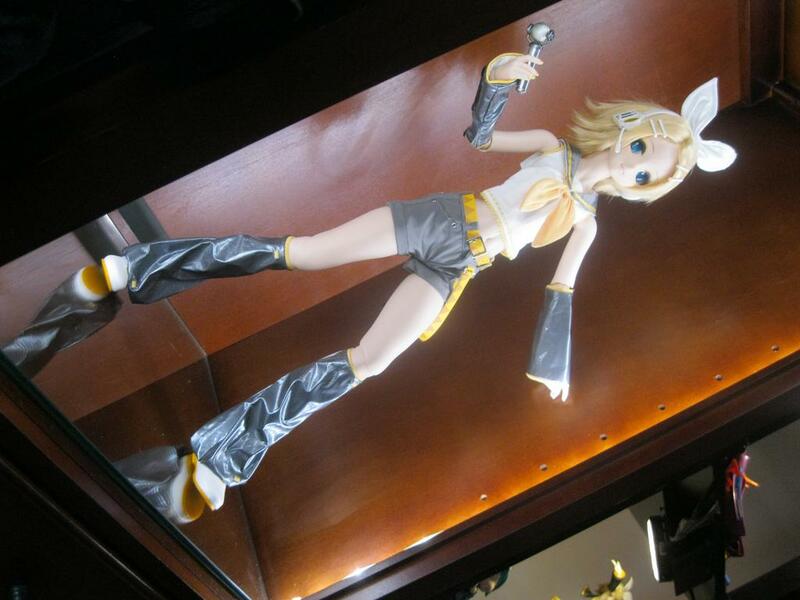 DDS Rin is an important piece and putting something else that is of a different scale and style with her soak the prestige out of the display. It will take a long while but I have the intention to do the same with DD Hatsune Miku on the left side. Man this will be glorious! 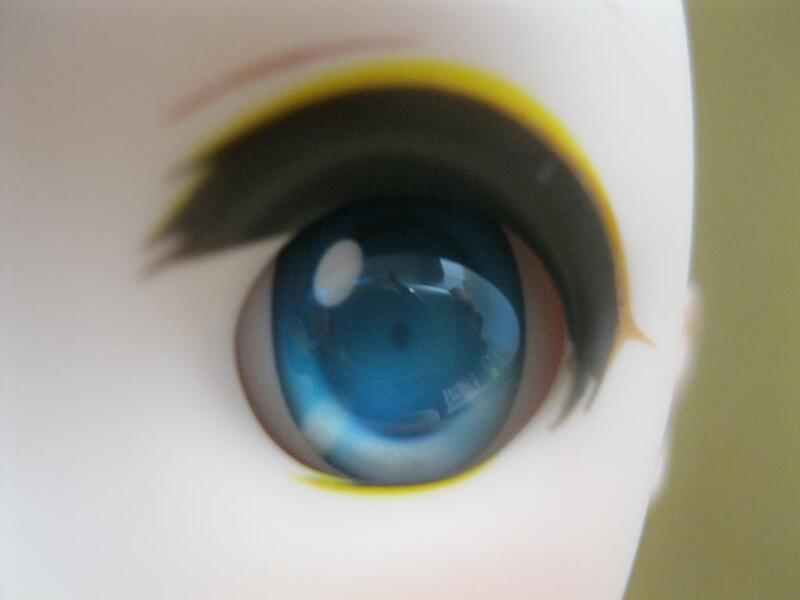 Somehow, I have the impression that Kikipop P-Chan will murder me in my sleep...………………. Current time: 04-22-2019, 12:50 PM Powered By MyBB, © 2002-2019 MyBB Group.